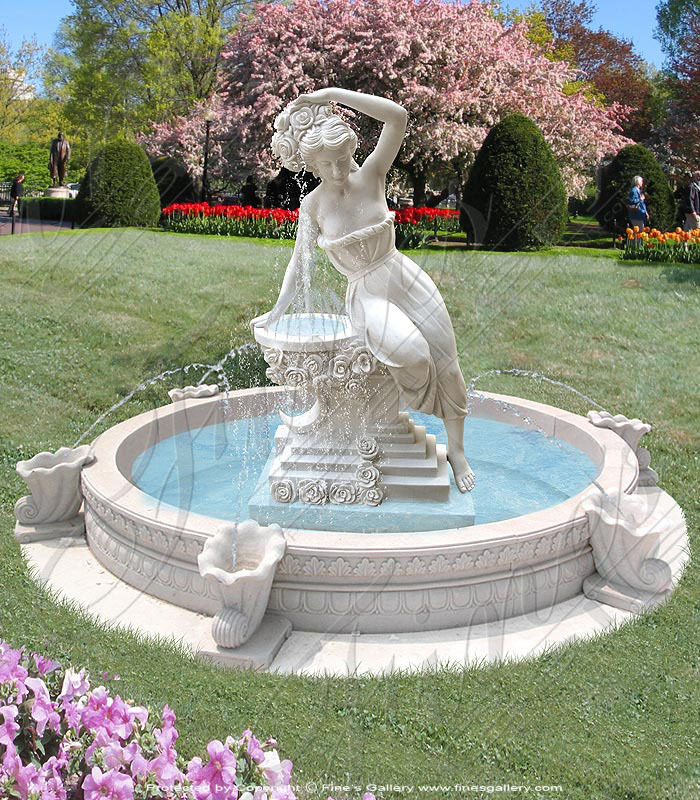 Athens White Granite Garden Fountain carved from a very rare and beautiful light white earth toned granite. 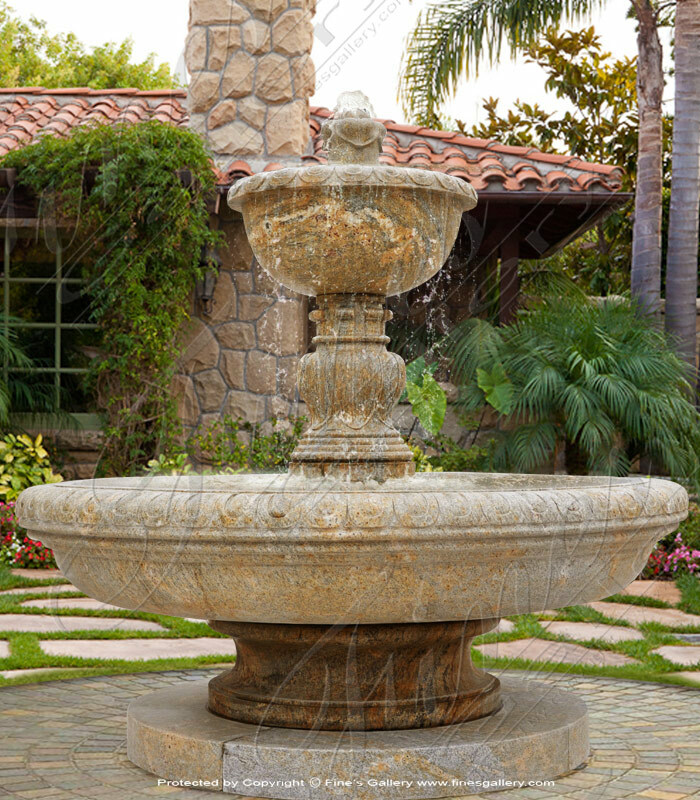 This ties in perfectly with cobblestone pavers in any exterior garden or courtyard. 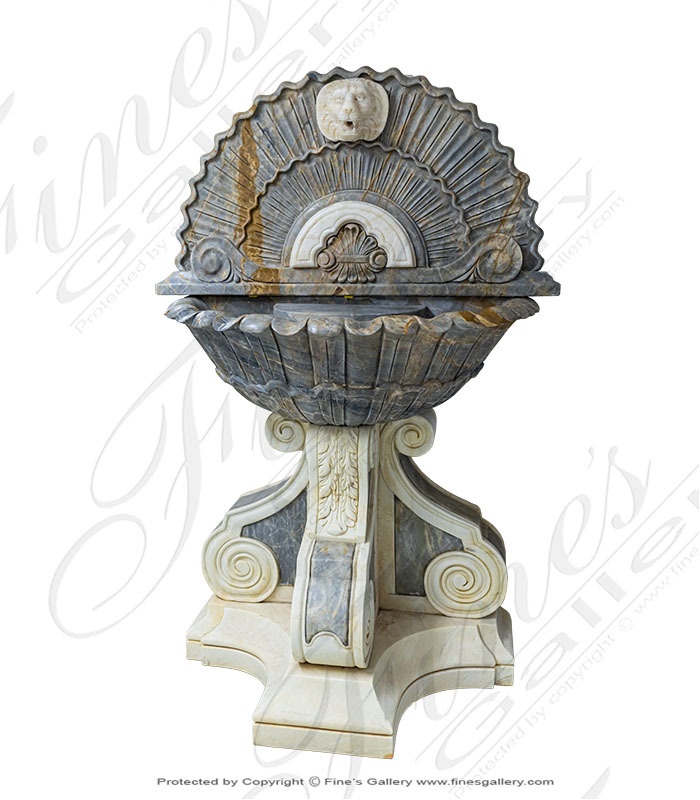 A transitional tuscan themed fountain feature. 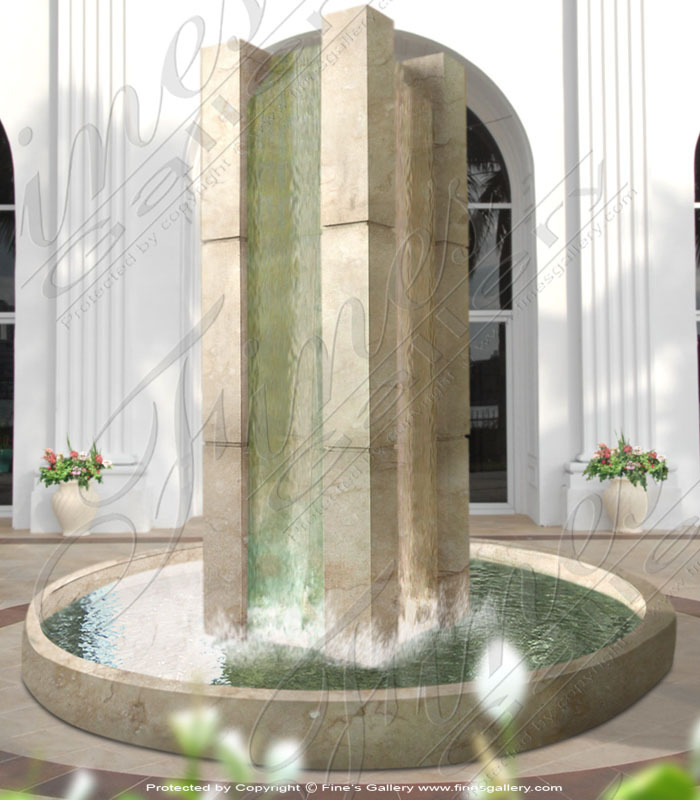 Dimensions: H: 66" W: 89" D: 89" View Colors Call Us! Wow! 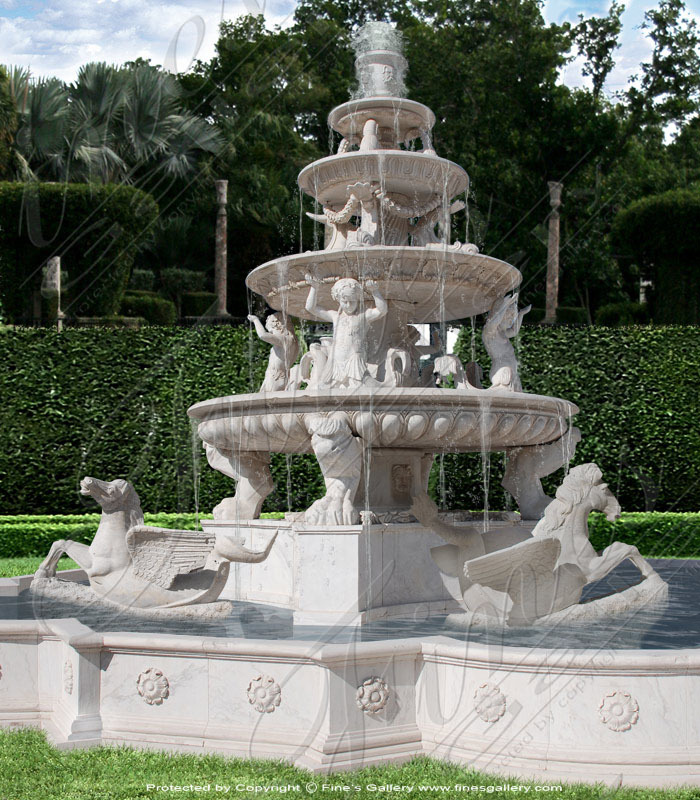 Natural Marble Three Tiered Rosetta Marble Fountain. 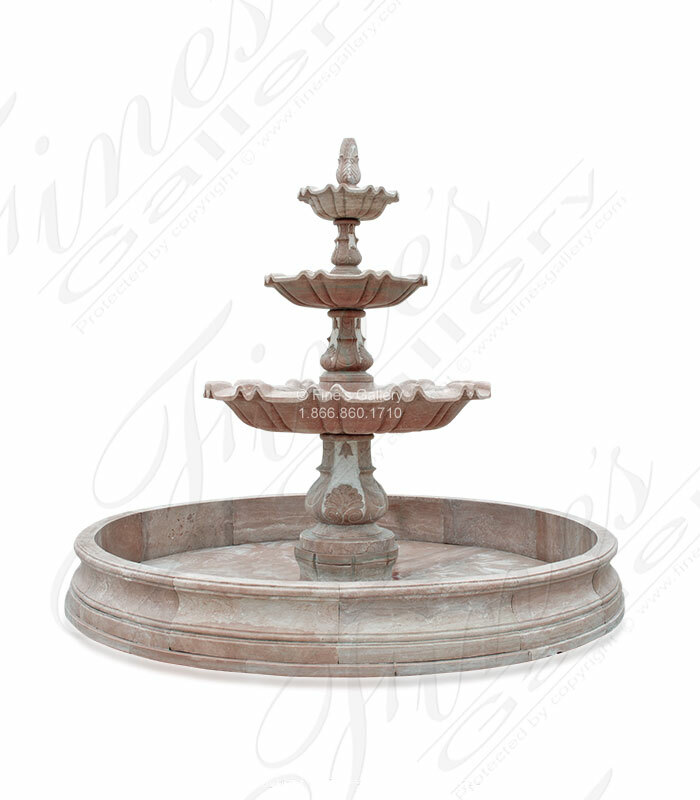 In stock at unbeatable prices. 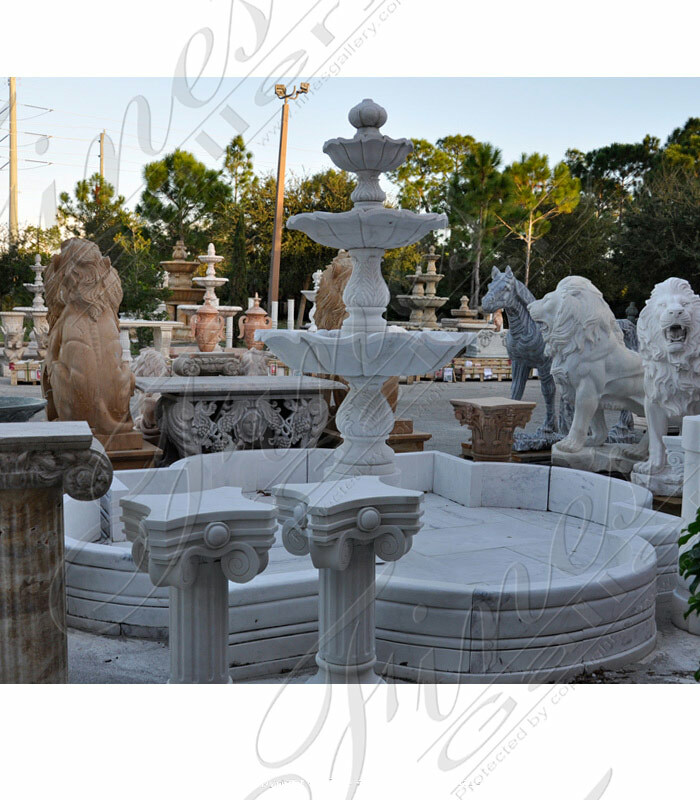 Shipped directly from a United States Showroom here in Beautiful Southwest Florida. 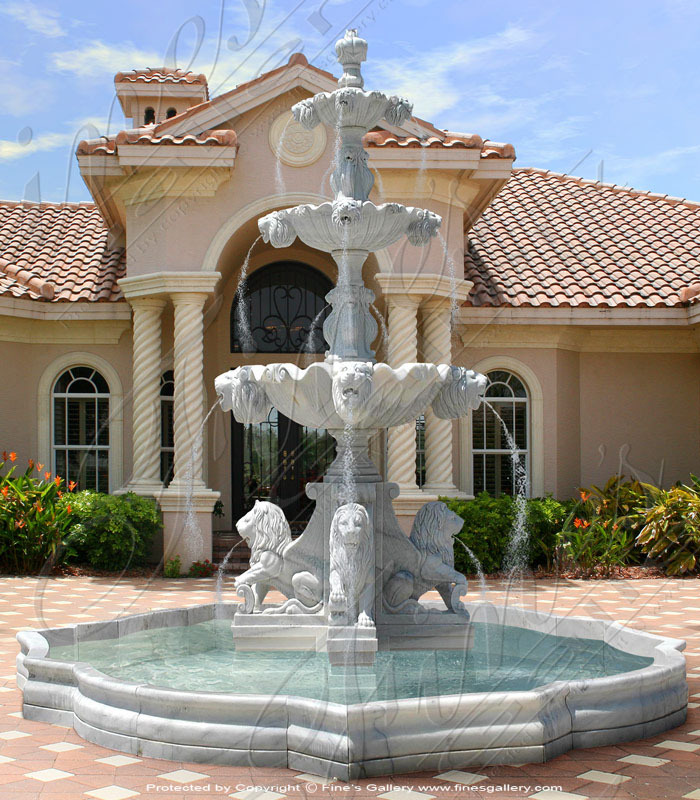 Call for a delivered price quote from FL to CA and up to Canada. 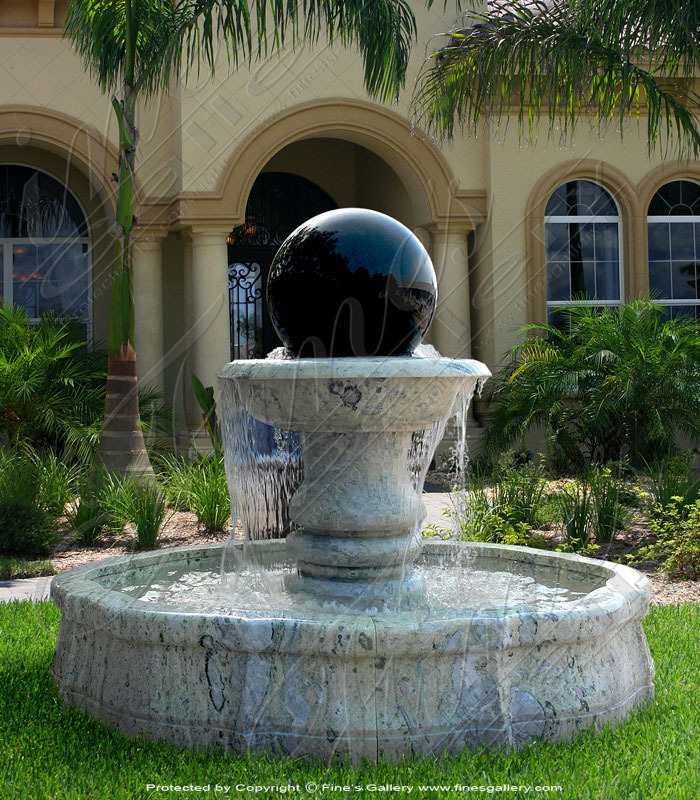 Dimensions: H: 120" W: 132" D: 132" View Colors Call Us! 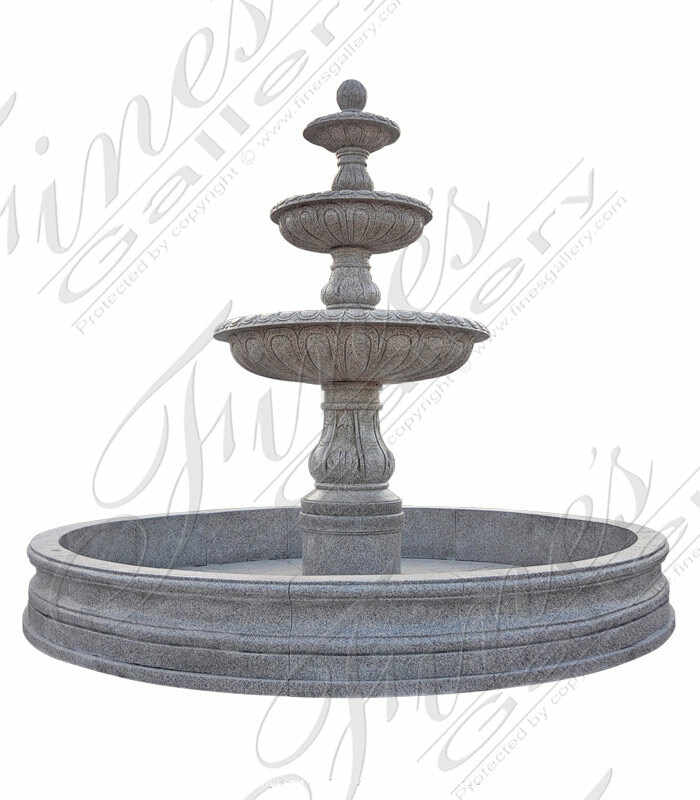 Dimensions: H: 48" W: 128" D: 128" View Colors Call Us! 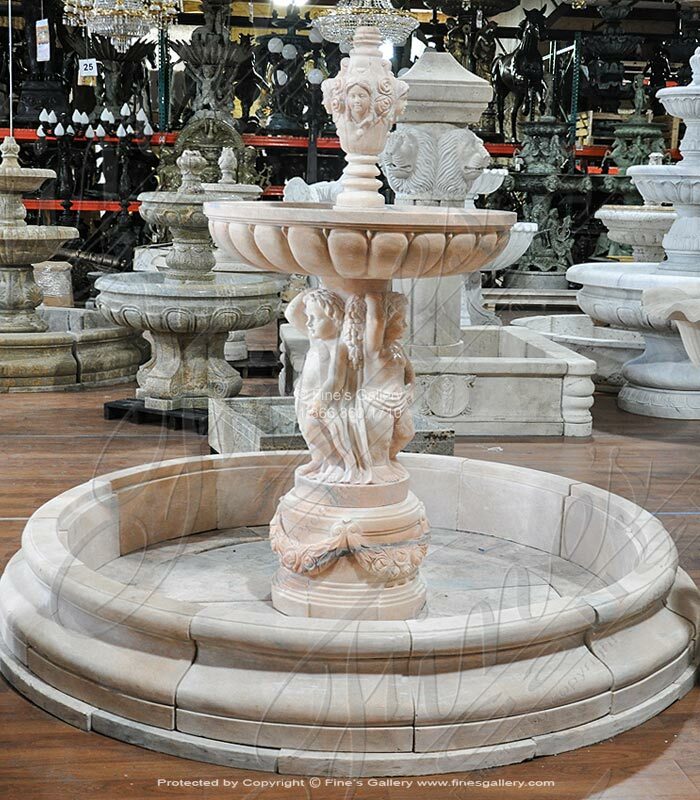 This elegant Tiered White Marble Fountain is perfect for an upscale estate or commercial setting. 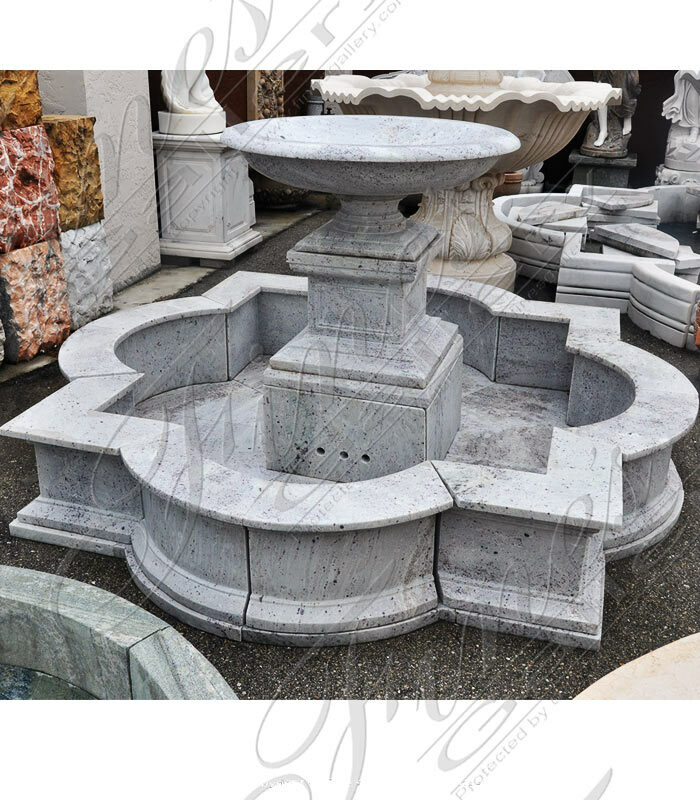 A quatrefoil shaped pool surrounds contains the central three tiered pedestal which has uniquely carved catch basins. 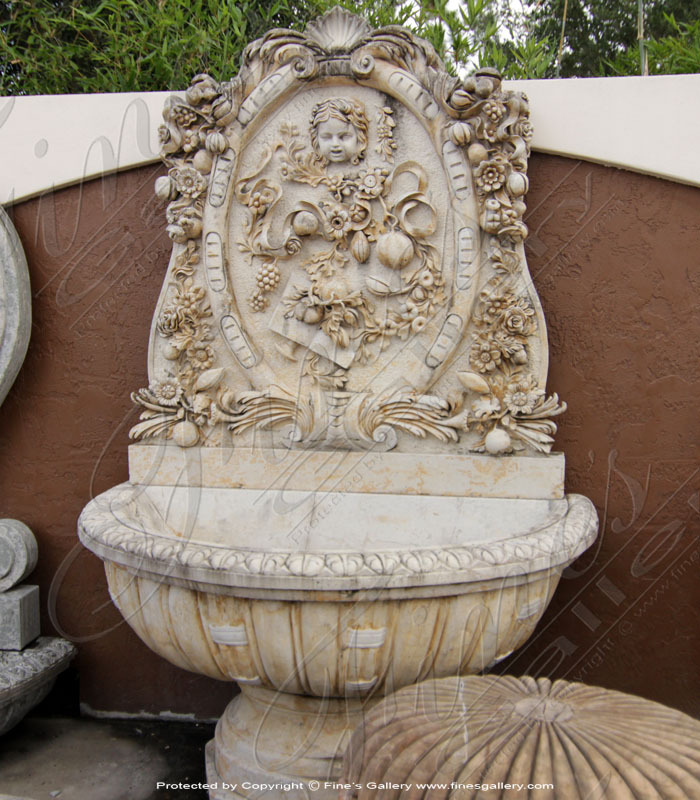 Carved from natural solid earth toned marble. 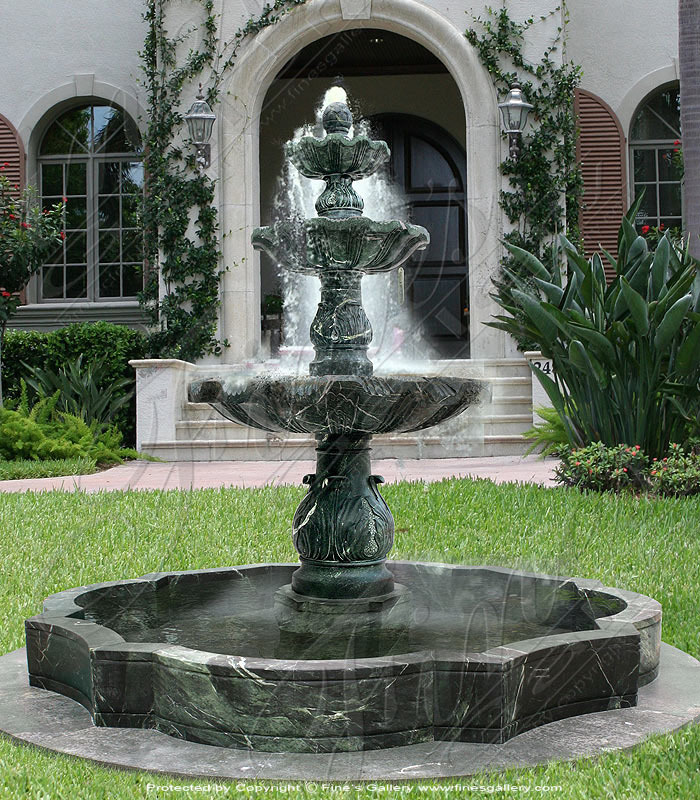 Featuring a fleur de lis finial and four carved lion heads this stunning fountain is ideal for any garden. 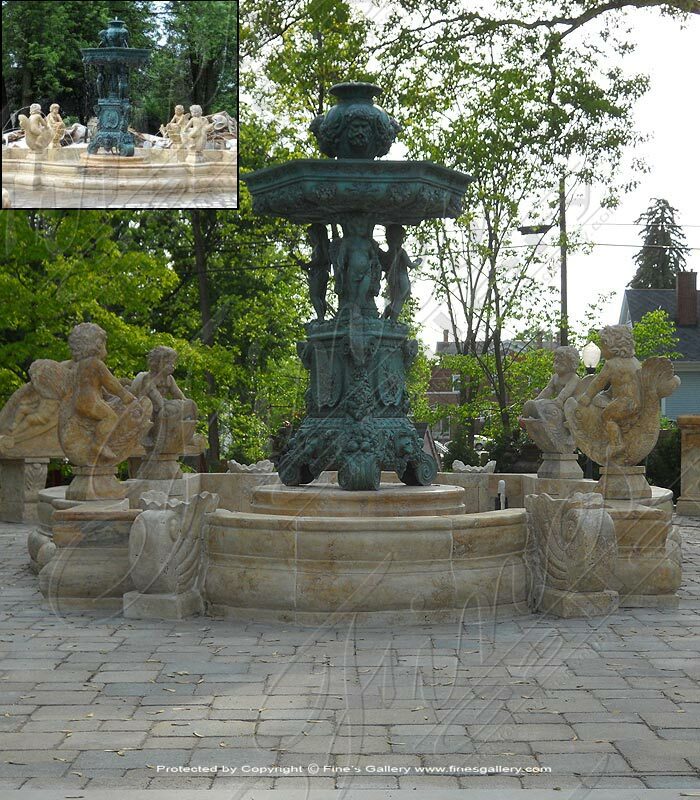 Contact us today for more info on this limited edition fountain. 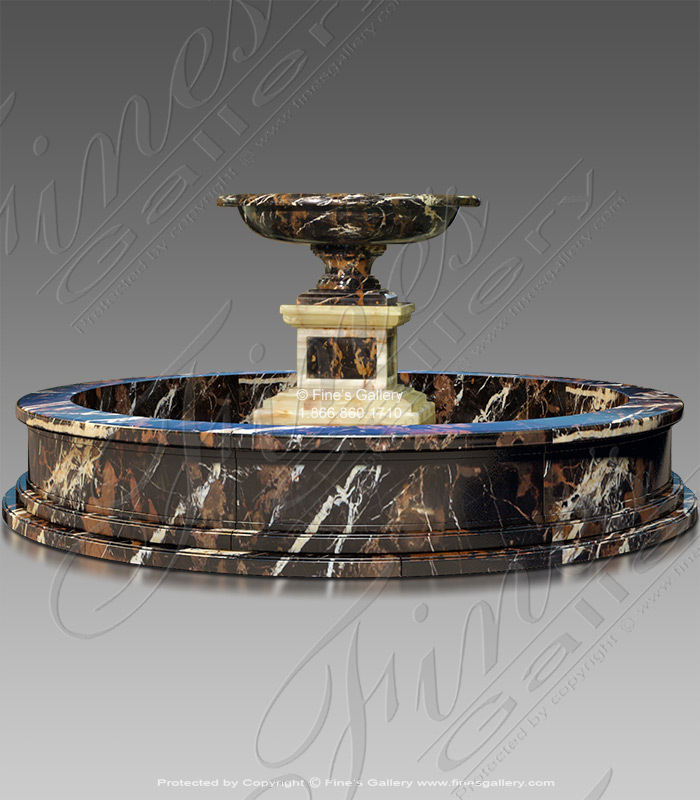 Dimensions: H: 84" W: 113" D: 113" View Colors Call Us! 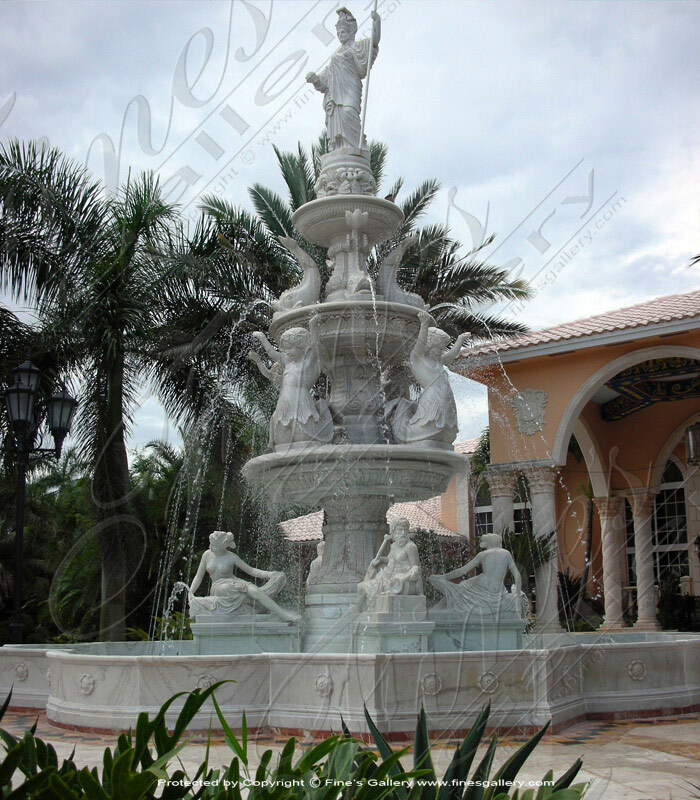 Dimensions: H: 96" W: 126" D: 126" View Colors Call Us! 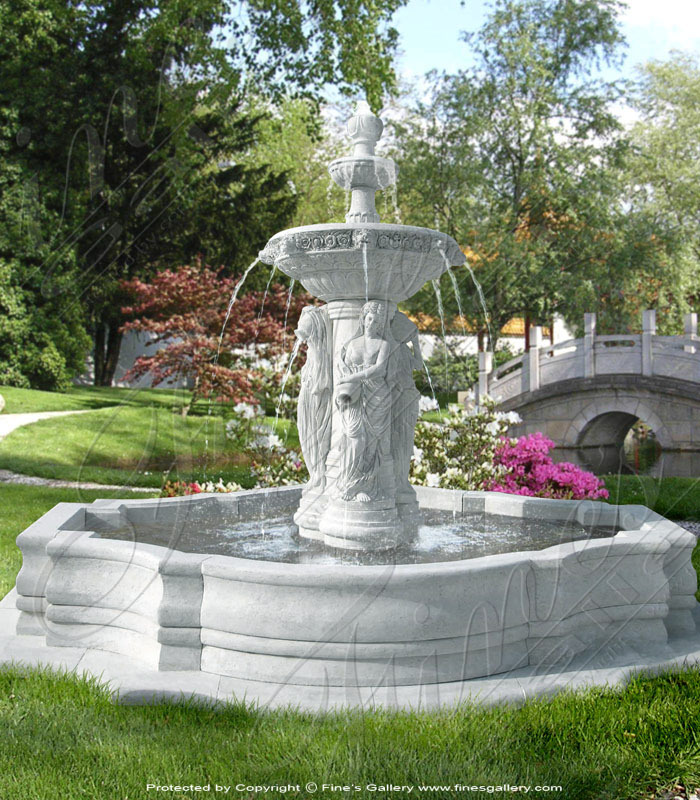 Dimensions: H: 96" W: 96" D: 45" View Colors Call Us! 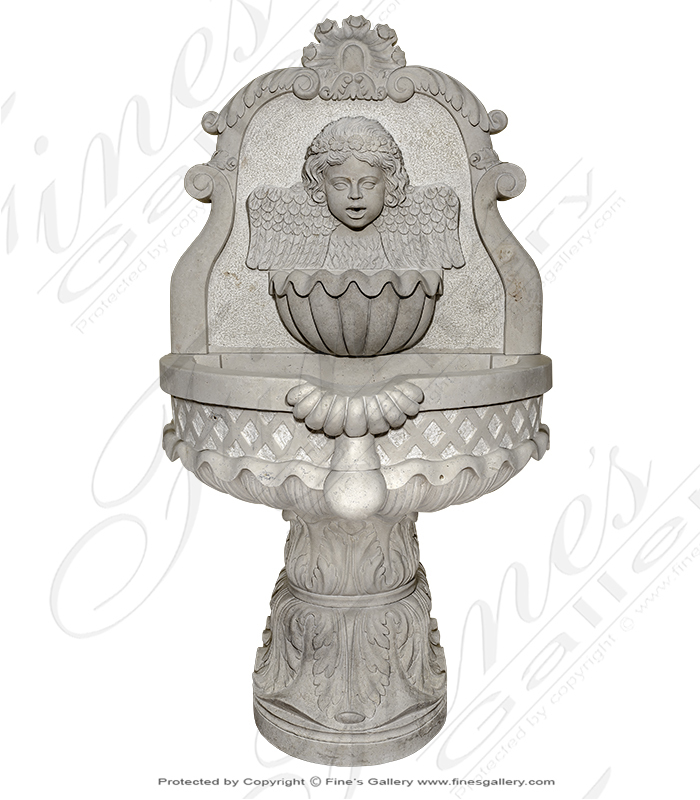 Dimensions: H: 43" W: 84" D: 84" View Colors Call Us! 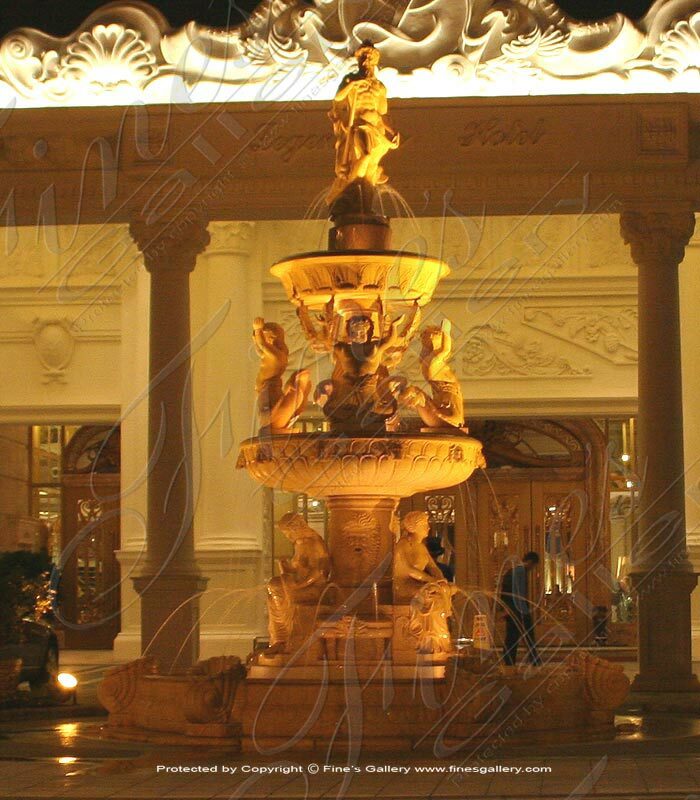 Dimensions: H: 100" W: 126" D: 126" View Colors Call Us! 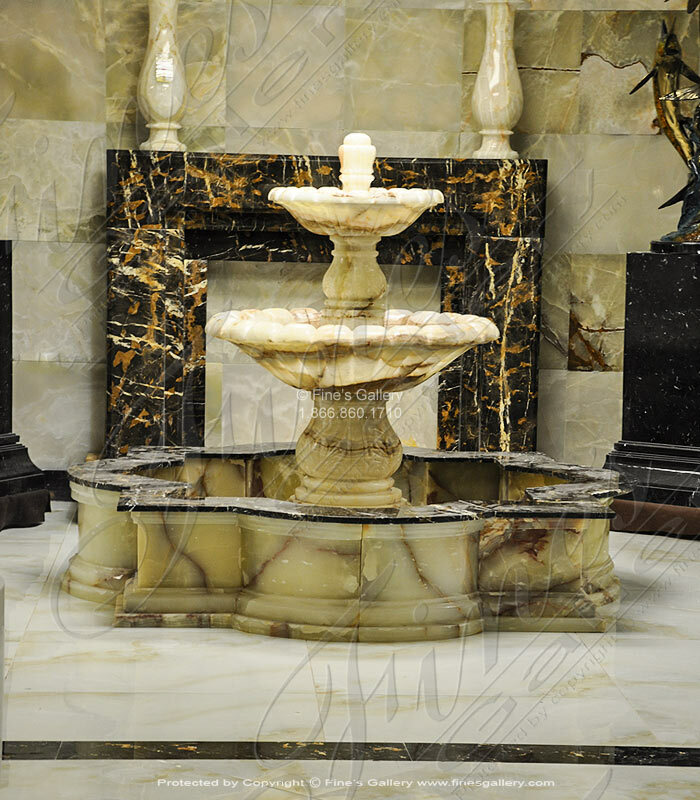 A stunning white onyx and michelangelo marble fountain feature. 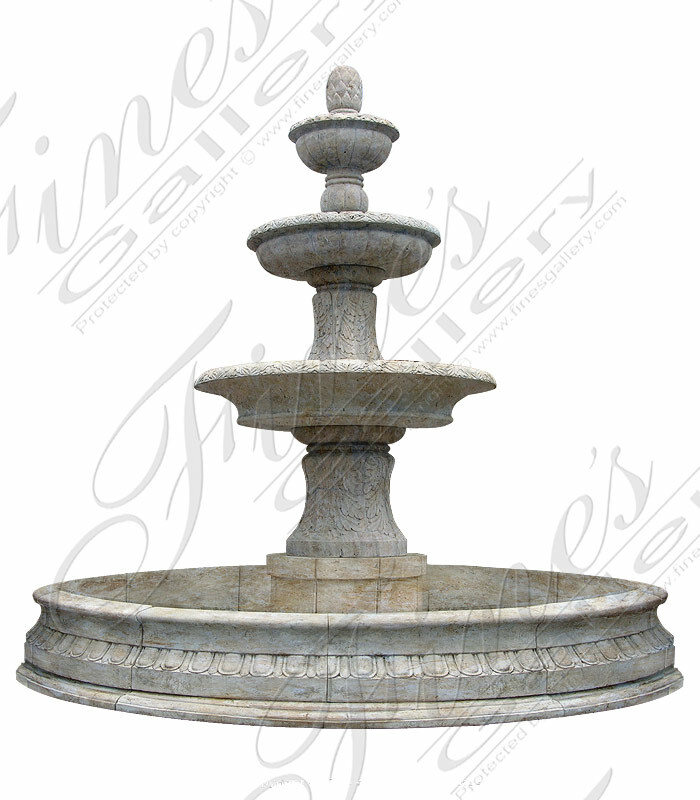 A two tier scalloped edge fountain feature. 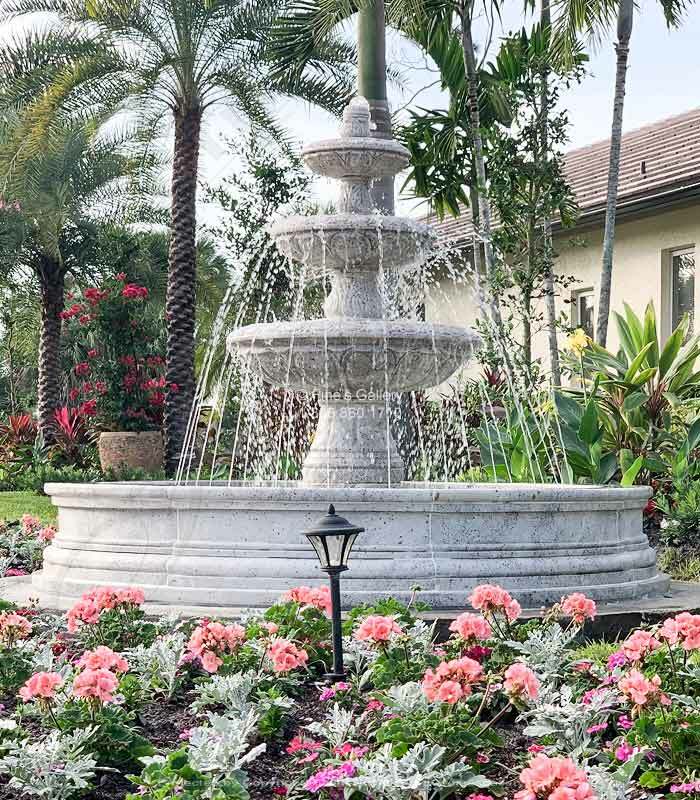 Incorporate LED light for amazing contemporary waterfall & lighting effect day & night. 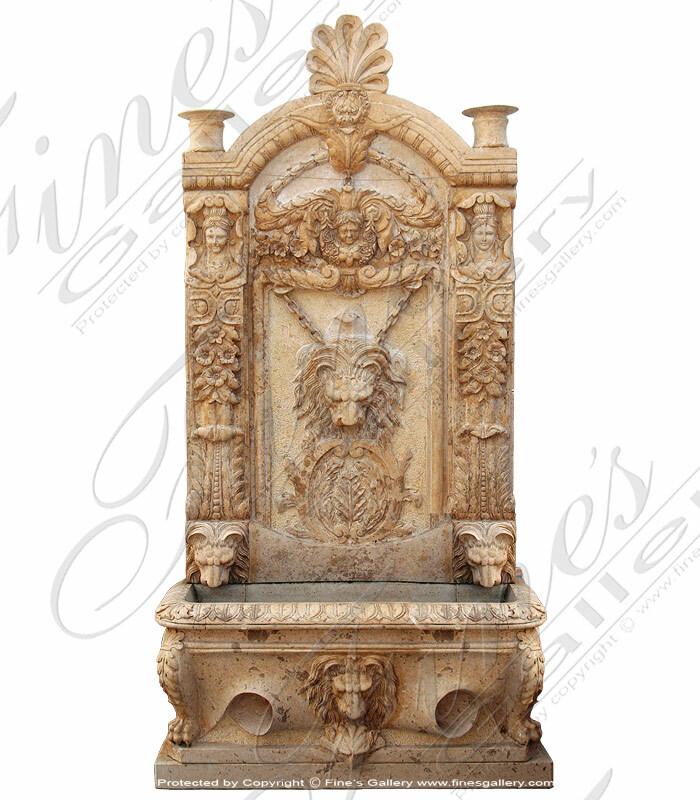 Dimensions: H: 59" W: 72" D: 72" View Colors Call Us! 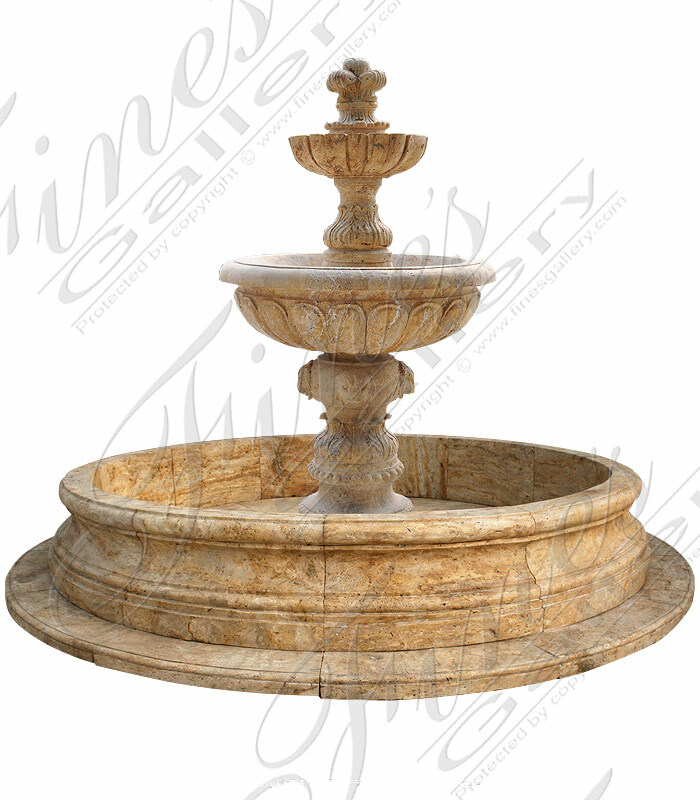 This Travertine Accanthus Fountain features carved accanthus leaves throughout each of the three tiers. 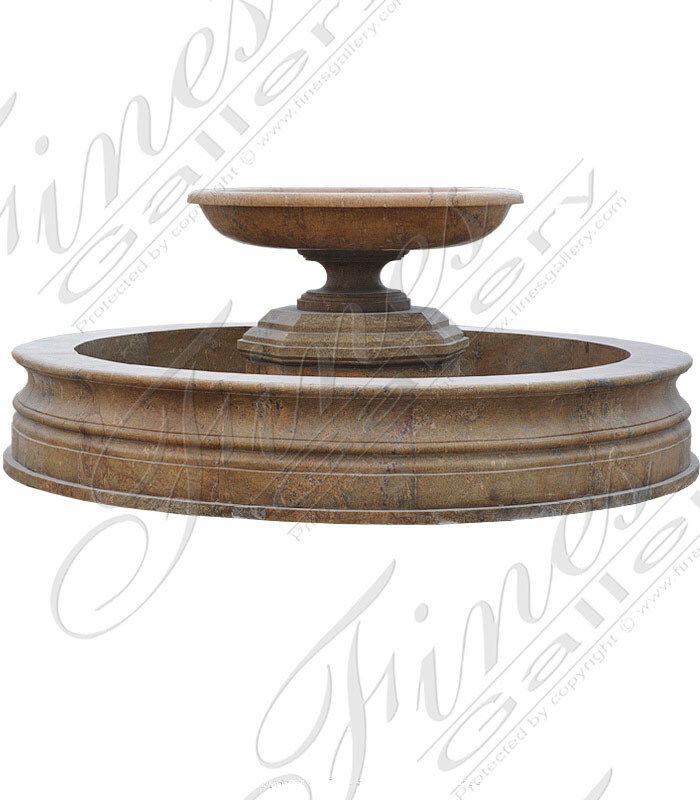 Carved in a light travertine with egg & dart detail around the pool coping. 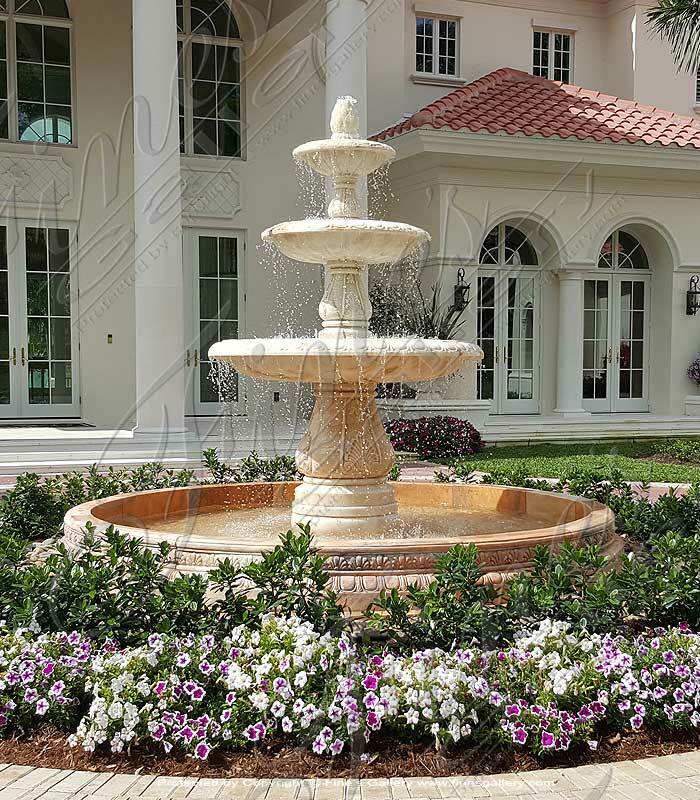 Dimensions: H: 118" W: 122" D: 122" View Colors Call Us!